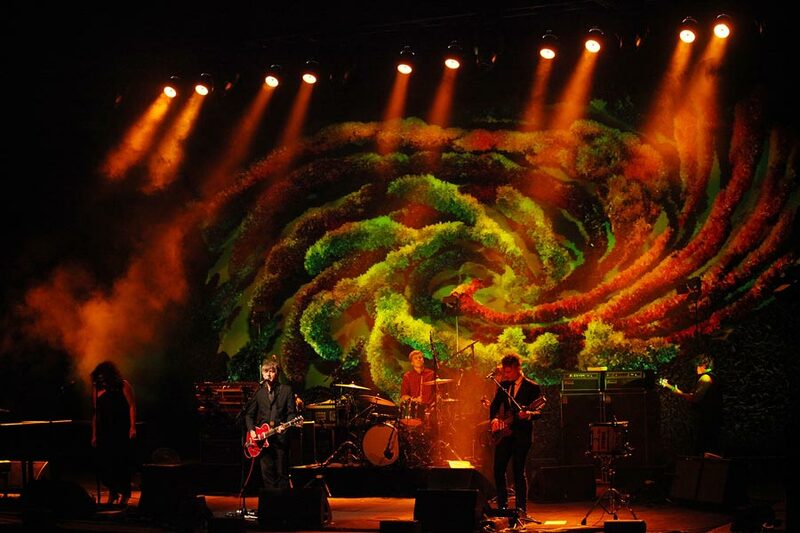 Neil Finn is on the road with his Dizzy Heights tour, a show full of lush aural landscapes and exotic arrangements complimented by evocative lighting and a large, fluffy tapestry backdrop created by Noel Crombie and partner Sally Mill. 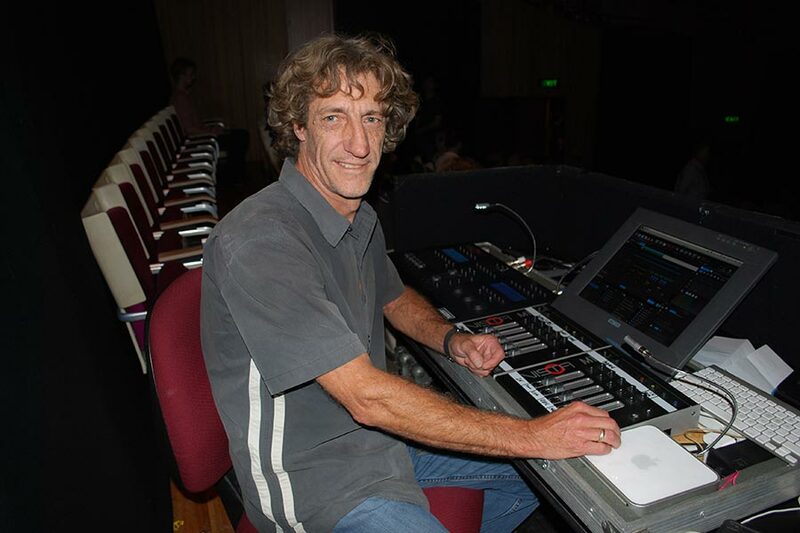 Lighting designer David Harding began his relationship with Neil way back in the 80’s when he was the Vari*Lite tech/operator for Crowded House. Over the years he has built a solid relationship with Neil who didn’t even have to brief David on what he wanted for his lighting on the Dizzy Heights tour, such is their relationship. David deployed two truss system with VL550 for tungsten wash colour, VL3000 Spots for air art and stage floor texture, plus 8 x VL3000 Spot for backdrop art. UV picks out hidden highlights in backdrop whilst LED lighting is used for the rear cyc and front up light of backdrop. David also has VL1000 TS in his rig, again for the tungsten effect as well as the shutters. 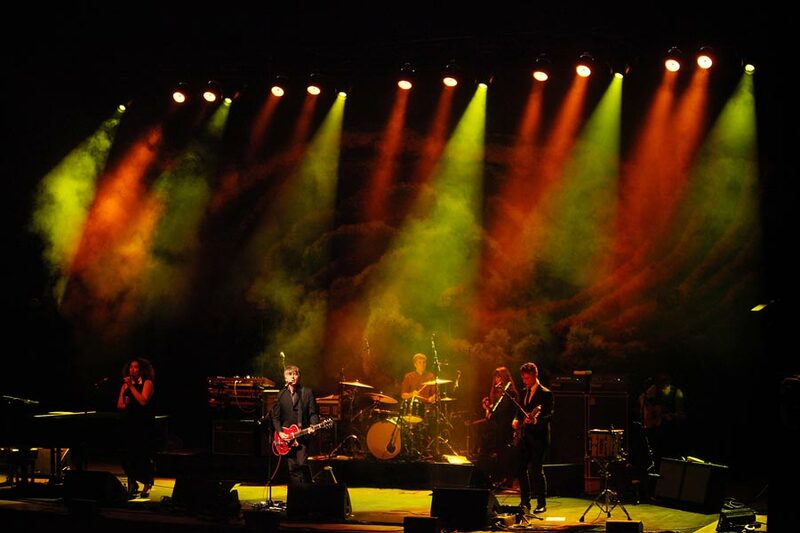 He describes the fixture as the perfect key light particularly as Neil’s show is too theatrical for follow spots. As David was a major contributor in development of the Jands Vista control platform, it was no surprise that he chose it for this tour! For the USA and Europe legs of the tour he travels a Vista L5 as the master and his own S1 console as well as two M1 wings with a Dell touch screen as backup and for hotel programming. “The manual interface is perfect for when there is a need for lot of on the fly manipulation,” David commented. “It allows for a fluid, organic show.” David also favours the Vista’s assignable surface functions as well as the timeline.